Everyone has a story. You do, I do, we all do. In a very real sense, a church can be defined as a collection of shared stories brought together by their common faith in Jesus. God, the Author of Days, writes His Story and weaves us together through it. 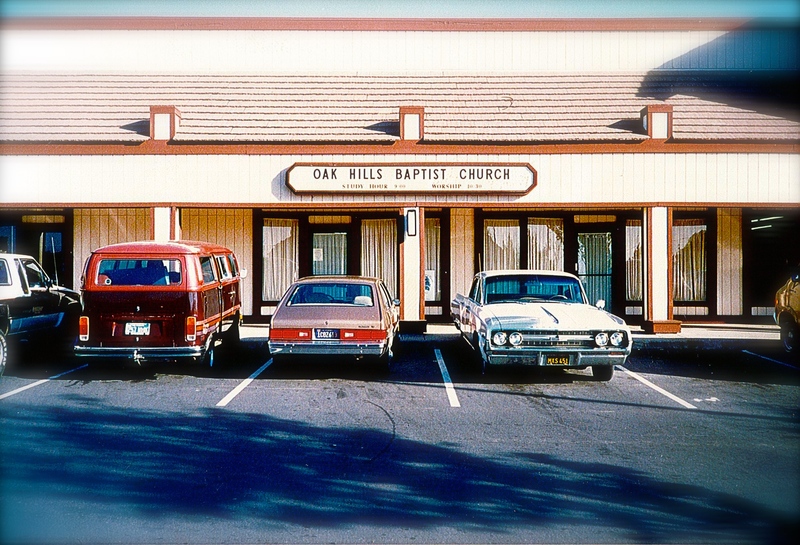 My home church, Oak Hills, is celebrating our 30 year anniversary this month. As I’ve been with this church for 26 years, it is one of the main chapters in the adventure that is my life, so I thought it would be appropriate and topical to tell my story, as it relates to church, with you all. 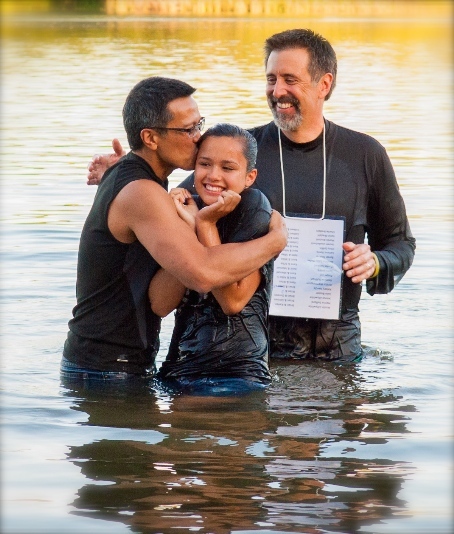 My actual “church story” begins as a baby, being baptized into the Roman Catholic Church, growing up attending mass religiously as a child, all the way to the point of deciding as a teenager that I didn’t want anything to do with it. I spent my college and young adult years generally believing in God but rejecting anything remotely connected with organized religion. My first impression was a good one. Although the church was small and less than a year old, the people were friendly, the preaching was sound, and the snacks were good. I could sink myself into my Bible without distraction. It felt like a place I could be at for a long time. So about a month into it, I came forward and offered myself to the volunteer Worship Leader. Dave, not knowing anything about me, informed me that I had to audition for the worship team. 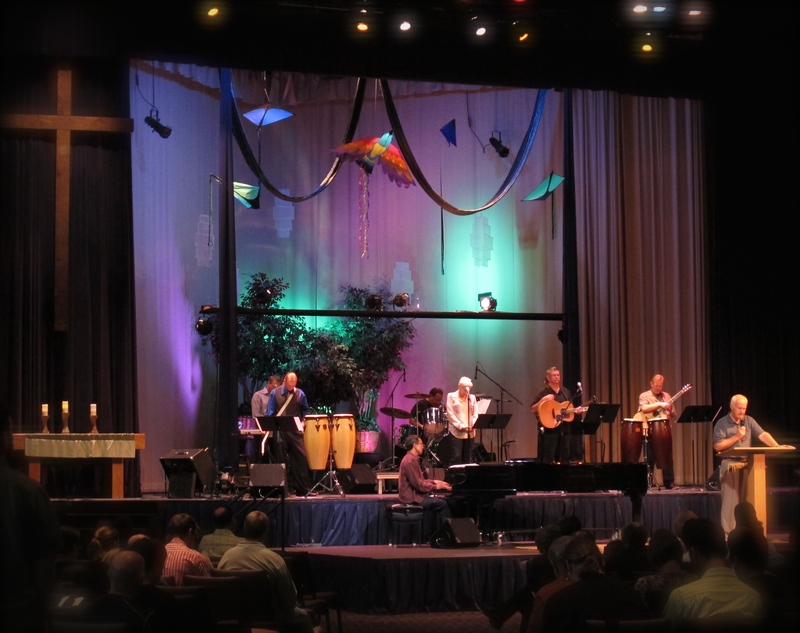 Being a new church, Oak Hills didn’t have much in the way of a worship band. Dave played acoustic guitar and sang, Christie sang alto harmony, and Steve was a teenager on the upright piano. I still remember pulling up to Dave’s house and unloading my equipment, which included a small PA, multi-tiered keyboards, drum machine, mic and stand, and a host of foot pedals and other paraphernalia. Dave must have thought he hit the mother lode. The actual audition consisted of Dave and Steve poking at different buttons on my keyboard setup. I hadn’t played a note and I felt like I already had the gig. Now, I performed at a lot of clubs back in the day, and I could play keyboard on my right hand, bass with my left, trigger drums with my left foot, and sing harmony vocals. So single-handedly that night, I pretty much became the Oak Hills band. I was a committed volunteer to the church worship team for five years. During those five years, a lot of life had happened. I met and married my wife, Debbie, and we began a family—two boys, a minivan, a mortgage payment. My career was also fast-rising, and I was reporting directly to the vice-president of engineering, with a new promotion and raise. And I was continuing to write music and play in bands in my off hours. Things were also changing at the church. We were growing steadily, and we were searching for a minister of worship. Though we experienced a parade of well-meaning, Christ loving, Bible-college graduates, there just didn’t seem to be any candidates who were a good fit to our church’s renegade mentality. Concurrently, there was an increasing discontent with my life that I couldn’t shake. I know now that God sometimes uses “holy discontent” as a way to point us in the direction of our passions, particularly when those passions match His will. One day, I came home from work and half-joked to Debbie, “What if I applied for the worship position at church?” I expected Debbie to laugh, but she took me very seriously. She replied, “Honey, if you feel that way, then we should pray about it.” She had called my bluff. And so we prayed. Prayed hard. Two weeks later, we found ourselves having a meeting with our senior pastor and the head of our elder board. We were trying to figure out what the minimum amount was they could pay me so I could continue to keep my house. A number of weeks after that, I found myself in the office of my VP, telling him I wanted to work for God instead. Within the month, I was working full-time as the minister of worship for Oak Hills in Folsom, California. The last few decades of ministry have been a blast. I’m slowly learning in deeper and deeper ways how to be a musician, songwriter, speaker, author, leader, visionary, mentor, pastor, artist. And I’m also learning in deeper and deeper ways how to be a husband, father, brother, friend, follower, learner, servant, lover of God. Through it all, God continues to write a story for me—one entwined through grace and circumstance with hundreds of other stories that make up the people of Oak Hills. It has certainly been an adventure—one written by the Author Himself. Thank you God that you brought me and my wife to Oak Hills, to be a part of a community that has loved us and cared for us and grown with us and believed in us. Thank You for 30 years of faithfulness to the ministries of the church. Thank You for writing my story into the story of Oak Hills. Posted in art, Blog, christianity, church, Imagine ThatTagged art, faith, worshipBookmark the permalink. Lovely story, Manuel – thanks for sharing it!